Residents of Glenwood and Umbilo have raised their concerns with regards to the overgrown grass and verges in the area. They are urging the municipality to do something about it. Residents claim grass grows faster in Summer than in any other seasons and therefore needs to be maintained regularly. However, a resident Michelle Murphy had a different opinion and a solution to the matter. 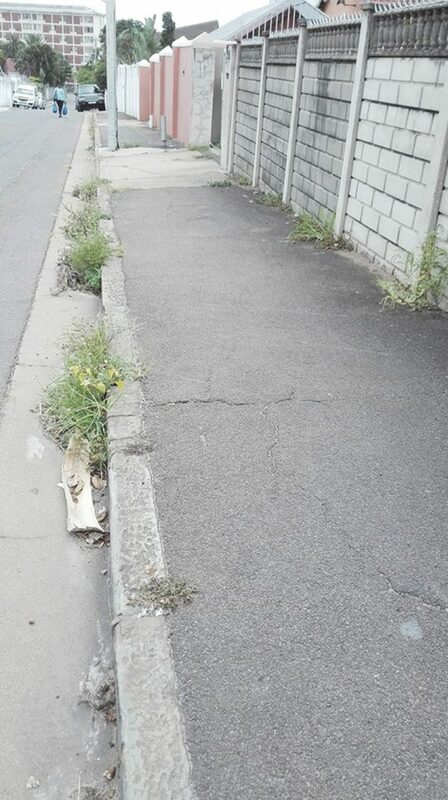 “As much as it is the municipality’s responsibility to cut verge and overgrown weeds. It is also the responsibility of the residents too. Personally I believe that each of us as residents should keep the spot outside our homes clear instead of waiting on the municipality, it will make a difference. If we leave it, it may cause more damage as it may become too long and end up destroying the tar and the road surface, which will have to be referred to yet another department,”Murphy said. The eThekwini Municipality recently released its unmaintained road reserve or verge cutting programme cycle schedule for 2018/2019. The schedule includes dates on which grass and overgrown verge will be cut in various area’s and eThekwini sub districts. EThekwini spokesperson Msawakhe Mayisela said the residents must look at the dates under cut five. The dates therein reflect that they can expect grass cut on or between dates shown. Mayisela said the exact dates cannot be given as grass cutting may be influenced by the prevailing weather at a given date. “For more details residents have to contact our contract officer whose details are provided or they can visit their nearest Parks, Recreation and Culture offices in their areas,” said Mayisela. According to the schedule cut five dates are as follows: week one – 7 to 11 January, week two -14 to 18 January, week three- 21 to 25 January, week four – 28 January to 01 February and week five- 4 to 8 February. Central district 3,7,8 and 10 – Vincent.Maphumulo@durban.gov.za. 031 322 2755 or 083 459 0079.